How much is Ana Gasteyer Worth? 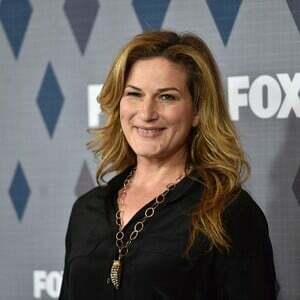 Ana Gasteyer net worth: Ana Gasteyer is an American actress who has a net worth of $2 million. Ana Gasteyer was born in Washington, D.C. in May 1967. She is best known for being a cast member on Saturday Night Live and for playing the role of Sheila Shay on the TV series Suburgatory. As a teenager Ana was a talking head on the PBS show Powerhouse. She became a member of the Los Angeles improv/sketch comedy group The Groundlings. Her first role came in an episode of Seinfeld in 1995. Gasteyer starred on Saturday Night Live from 1996 to 2012. She played the characters Bobbie Mohan-Culp, Margaret Jo McCullen, Gemini's Twin singer Jonette, Cinder Calhoun, MTV VJ Kincaid, and Gayle Gleeson. She also impersonated Martha Stewart, Celine Dion, Joy Behar, Joan Rivers, Sally Jessy Raphael, Kathy Griffin, Bea Arthur, Barbra Streisand, Hillary Rodham Clinton, and Lisa Kudrow. Gasteyer has starred as Sheila Shay in the TV series Suburgatory since 2011. She has also had a recurring role as Judge Patrice Lessner on the TV series The Good Wife since 2010. In 2014 she released her debut studio album I'm Hip.